A Zambia Safari Rescue Story. Call it a wonderful Zambia safari rescue. It resulted in what you are able to enjoy today. The banks, the parks, the islands and the shoreline of Lake Kariba . Simply unique! They’re among the most prolific and well-stocked animal habitat in all of Africa. Thanks to the dedicated, volunteer game wardens who rescued entire colonies and herds of animals. A monument has been erected in their honour at the lake viewing point in Kariba Heights. In Matusadona National Park in Zimbabwe there is Fothergill Island in honour of the project leader Rupert Fothergill. 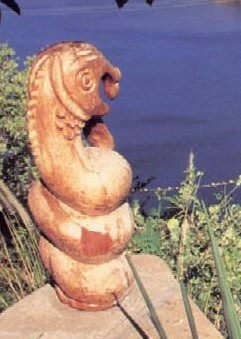 During 1958 – 59 the Batonga people, 50,000 strong, had to be relocated. That was not all. Many wild animals were trapped on fast shrinking temporary islands. Why? 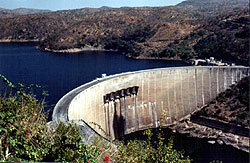 Because the building of the Kariba Dam across the Zambezi River had been completed. As the water rose at a rate a couple of metres (several feet) a day, many animals were stranded on rapidly shrinking islands. They were doomed to drown or so it looked. Luckily they were to be rescued by a group of dedicated local volunteers in a Zambia safari rescue initiative called Operation Noah. The game department in Southern Rhodesia as Zimbabwe was known then, acted quickly. They recruited Rupert Fothergill and 60 wildlife wardens from Northern Rhodesia (now Zambia) and Southern Rhodesia. In small groups they set out and worked from dawn to dusk. They toiled seven days a week, at various sections on both sides of the lake. The rescue teams worked all through the dry season, from March to December. They had little specialist equipment. Just a fleet of old, leaking boats and a poor communication network. What they lacked in equipment they made up for in enthusiasm and determination. Their labour is an example of what Zambia safari rescue did for conservation…a real and rare tourism archives story. They rescued them all, large and small, including birds, snakes and poisonous ones too were not left out. The rescuers discovered that some of the animals could swim. They herded them to safety. Those that could not swim were driven to shallow water where the animals were easily captured and transported to shore. Word of the operation spread and in February 1959 the British Sunday Mail published details of the rescue. Quickly it caught the world’s imagination. Within days reporters, feature writers and film crews were on their way to Kariba. Soon, there were more media-men than rescuers and frequently their presence hampered operations, But they captured in words and in pictures some of the most dramatic and heart warming sights of the rescued animals, which would have otherwise gone unrecorded and unseen. The story triggered overseas and public opinion, put pressure on governments to support the rescue project. The rescue mission was increased and supplied with better equipment. The rescue teams grew more experienced and sophisticate. Animals of all groups and sizes were trapped or darted and transported by boat or raft to higher ground where they were release. Others were roped and towed to safety after being herded into shallow water. Non-swimmers, such as rhino were darted, trussed to raft and floated to higher ground before being freed. In later stages tranquilliser darting techniques were used to rescue larger ferocious and /or more agile creatures. The rescue teams learnt how to dart, track, and rescue unconscious beasts before the animals recovered their senses. Fothergill Island and the monument honour these gallant people who finally became experts at their work. The work they enjoyed most to do. Saving wildlife, which we enjoy to watch today and for the sake of future generations. Operation Noah is a good learning point. It’s the best there is in an example of conservation work , works that evoke admiration from animal lovers. Buffalo 78, Impala 1866, Zebra 46, Waterbuck 120, Hyene 3, Hare 43, Warthog 585, Jackal 2, Porcupine 47, Bushbaby 1, Bushbuck 320, Klipspringer 28, Civet 5, Sable 105, Night Ape 10, Mongoose 14, Dassie 21, Ant-bear 48, Duiker 257, Scaly Ant Eater 6, Rhinocerous 44, Grysbok 345, Bushpig 44, Wild Cat 5, Genet 21, Baboon 268, Elephant 23, Kudu 300, Monkey 172. Squirrel 6. Badger 12.